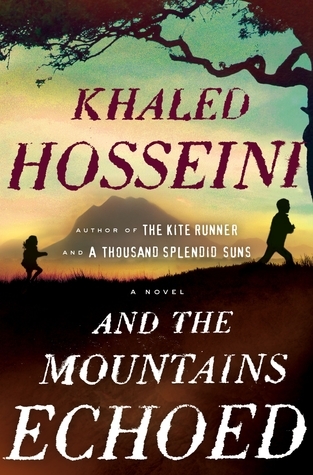 Posted on September 15, 2015 by EllenAllen	in Individual book reviews and tagged And The Mountains Echoed, Ellen's book reviews, Khaled Hosseini, reading challenge, The Kite Runner. I found And The Mountains Echoed on my kindle when I was stuck waiting to pass through the Channel Tunnel last month and I’d got through 60% of it by the time I got home. (It was an interesting parallel – reading about people who are being displaced by war while passing through an area full of people who have been displaced by war. So many people looking for a better life…) I don’t normally like books that change the protagonist throughout and this was no exception; I sighed every time I had to refocus into a new character with a completely different perspective. That said, it’s a lovely book, providing insights into an Afghanistan we don’t normally hear about; normal life under decades of upheaval. The stories are touching although I wasn’t as riveted as I had been with The Kite Runner. Hosseini is a great writer. One of the characters, Idris, meets a little girl called Roshi in a hospital in Afghanistan who has suffered a terrible injury at the hands of her uncle and has nothing. He’s sickened by how much he’s spending on a new home cinema in his house in the US and feels sure he could do something for her instead. The few pages where he returns home to his family and readjusts into American life are so powerful… the way he convinces himself that he deserves the cinema, how hard he has worked, how far away she is, how he cannot really help… devastatingly full of pathos.